If there is any place where you should make fashion shopping a key part of your visit, it’s Portugal. This country has the same level of craftsmanship as Italy, but somehow didn’t get quite the same respect, until recently. 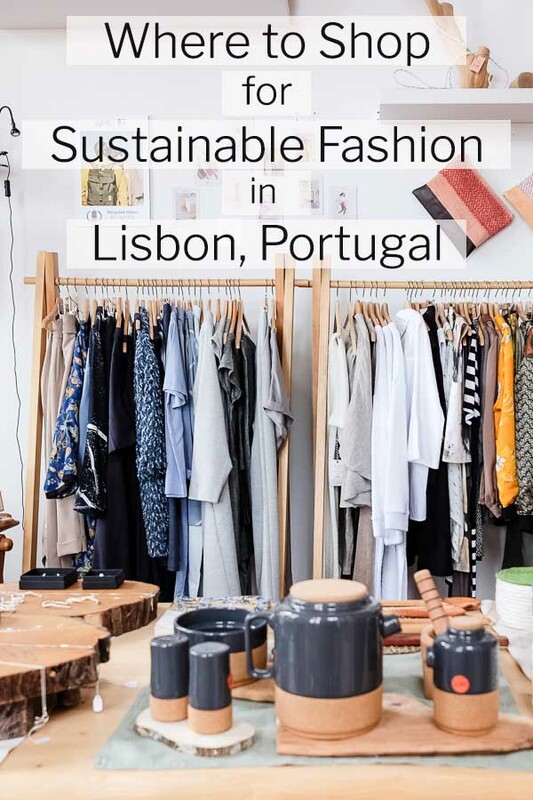 A thing to note is that while things made in Portugal are made ethically, and made to last, they’re not necessarily sustainable — there is a lot of viscose and polyester on display, and the shoes are made with conventional leather. So check labels for materials, and only buy something conventional if you love it and know you will wear it at least 30 times. Honestly? That’s not hard to do with Portuguese fashion! 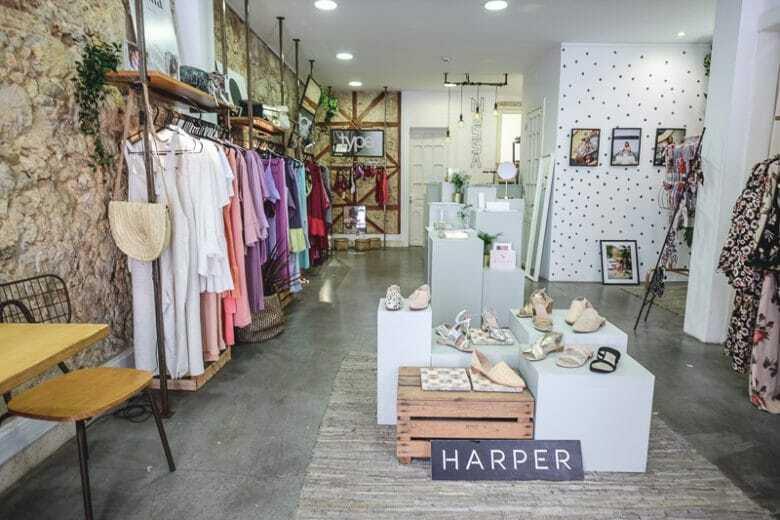 Located inside Embaixada, a charming shopping center carved out of a renovated mansion full of Portoguese fashion and artists, this store carries sustainable and Fair Trade brands, some Portuguese. Find palm print shoes, shirt dresses and silk trousers, handcrafted soaps and jewelry, plus men’s shirts and shoes. 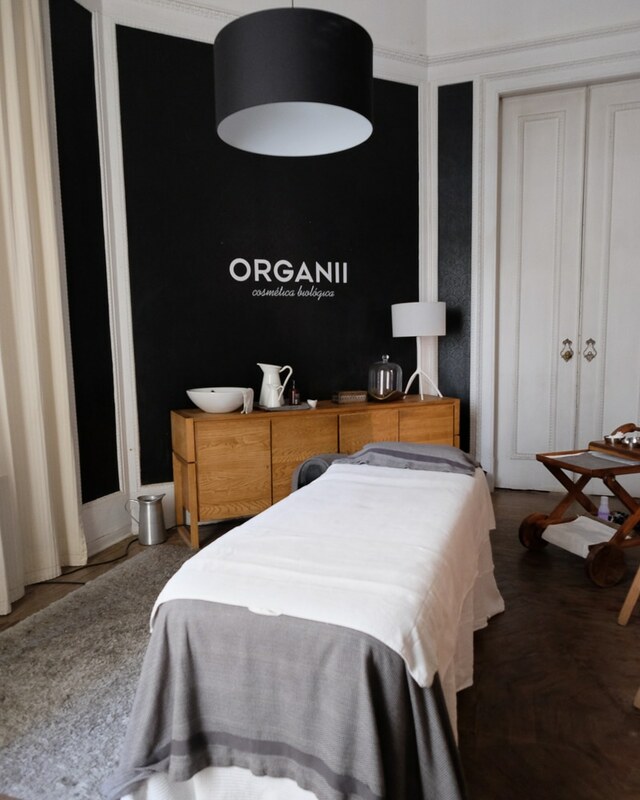 When you’re done shopping, have a drink at the outdoor bar that overlooks Lisbon’s botanical garden, or make an appointment at the organic spa inside the clean beauty store Organii. This clean beauty store features organic, sustainable, and ethical European beauty brands. 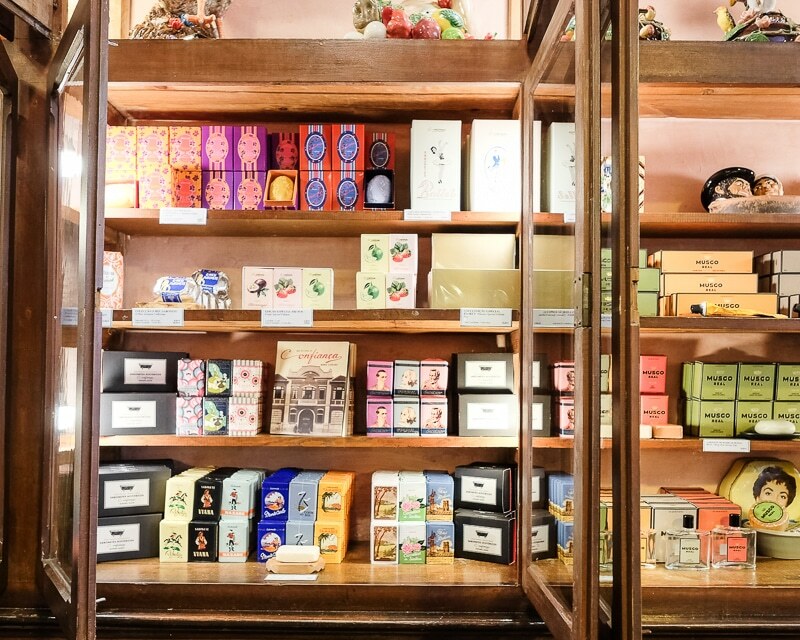 There are multiple locations throughout Lisbon, including Embaixada, the outdoor market LXFactory (which I really suggest you swing by to experience — it’s awesome), and downtown in the Baixa neighborhood. Get it? The Feeting Room? This store features all Portuguese-made shoes of luxury quality, plus accessories and jewelry. They really have every style of shoe here –– if you want it, you can find it here. Freakcloset makes ultra comfortable shoes in classic designs that will become your go-to sneaker, loafer, or Chelsea boot; in colors ranging from white and brown leather to marble and blocked pastels. If you have time, you can go online and customize your shoe. 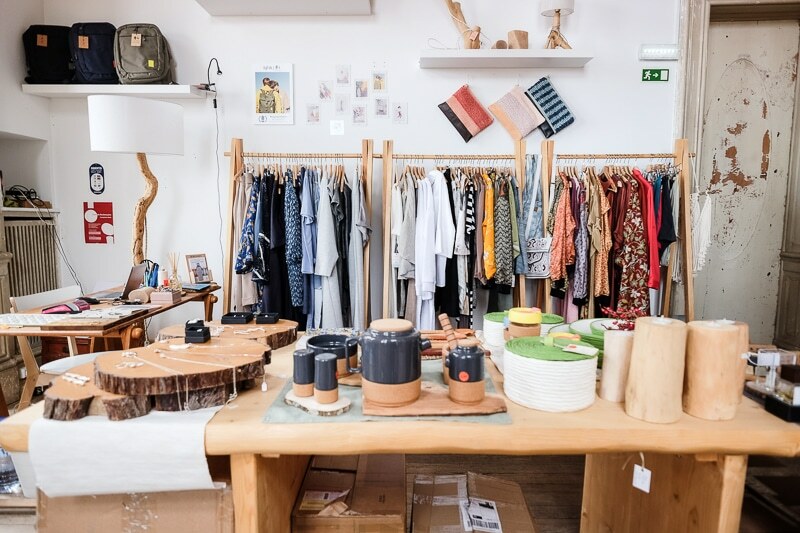 When I visited their Lisbon store also carried Antonio vegetable-tanned structured bucket bags and oversized clutches with nickel-free finishings, plus some fashion, though not all of the clothing is made in Portugal. 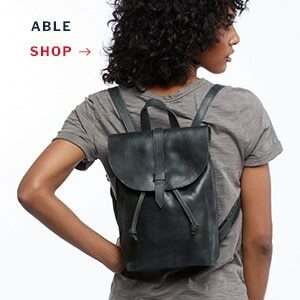 This store carries high-end fashion and accessories, the majority of which is made in Portugal. The vibe is 30-something successful woman who vacations in Morocco. 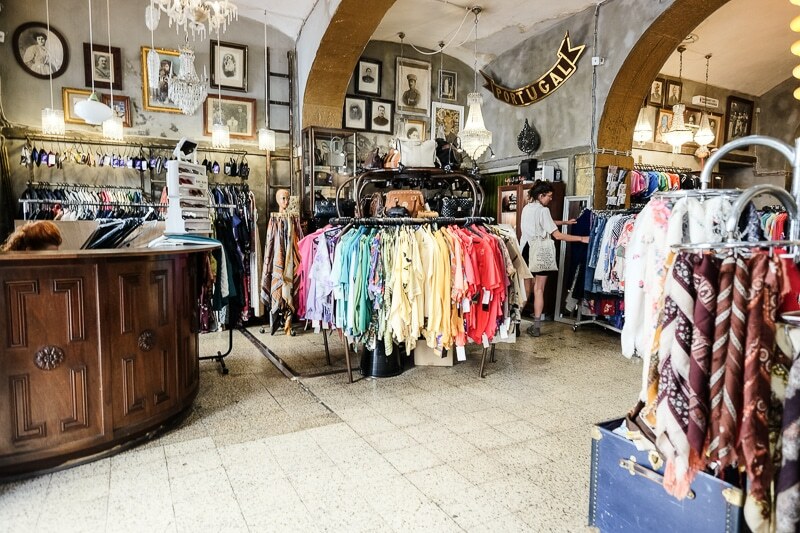 This vintage store is filled with a wide selection of kitschy, colorful vintage. I found some great 80s chandelier earrings for a few bucks, and I only had 15 minutes to spare for a pop in. Definitely block out longer than I did! This one is for my knitting fans! 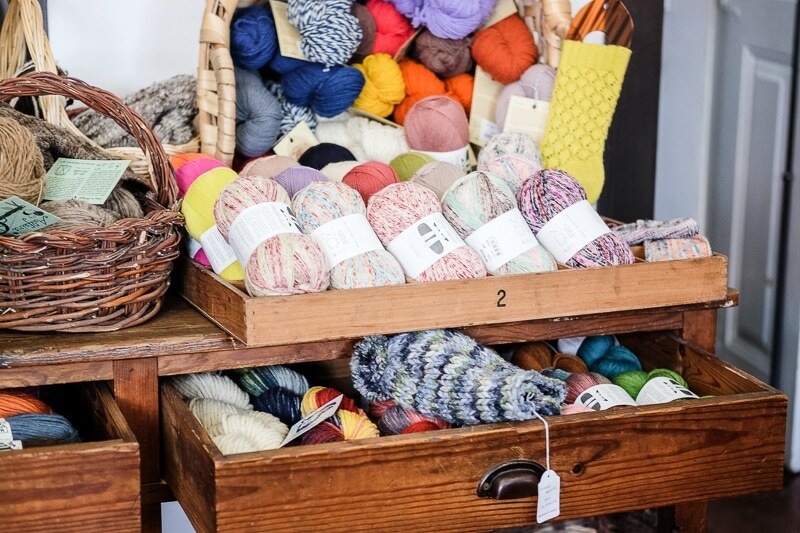 This cozy store, located on the second level of an old building above a record shop, carries a delicious selection of hand-dyed, handspun yarns from Portugal, Peru, France, and more. This store may be touristy, but it sells the best kind of souvenirs: traditional Portuguese items in beautiful packaging, like soaps, toothpaste, paper goods, vintage toys, candies, liquors, tinned fish, and other super cute gifts that those airport gifts can only aspire to be. 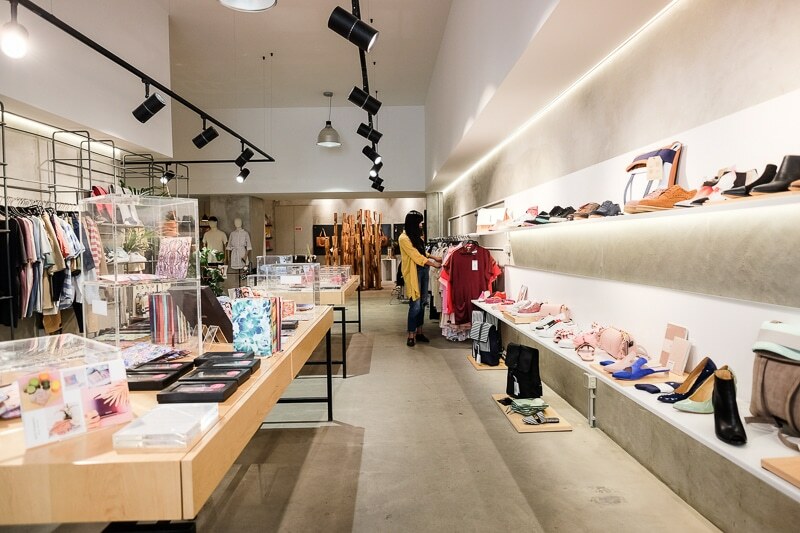 This shop carries fashion with the quality of luxury clothing, but for a reasonable price, including flouncy tops, slip dresses, delicate jewelry, and modern leather flats. Just check the label to ensure it’s made in Portugal. 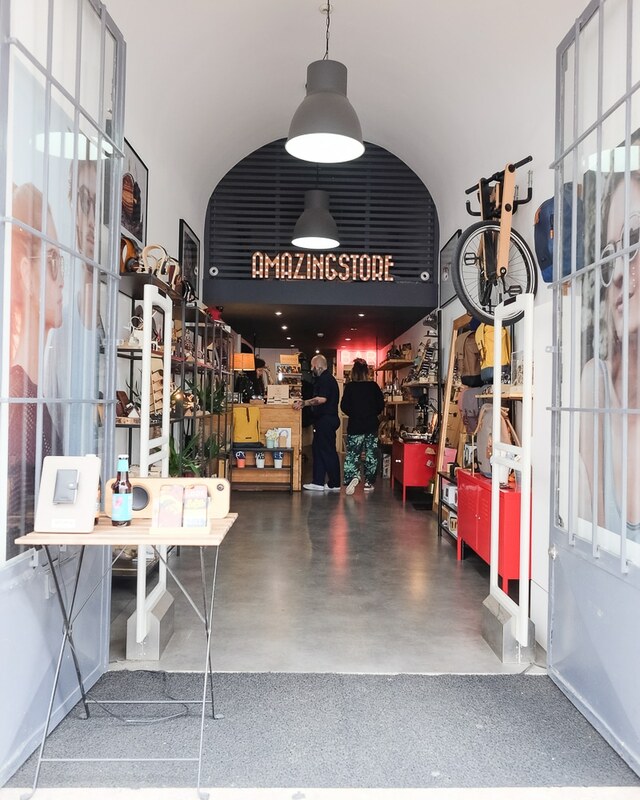 This package-free store carries eco-friendly home and beauty accessories, personal care products, zero-waste kits, and bulk dry goods. It’s located pretty far outside of the main areas of Lisbon, so I didn’t make it there. But if you really find yourself in need of something zero waste, pay it a visit.